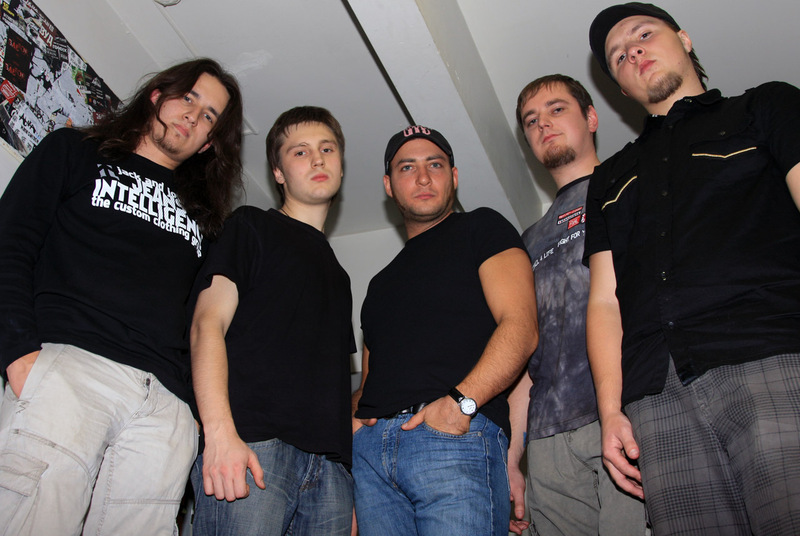 Eclipse Hunter is a power/progressive metal band from Moscow, Russia. It all started, when keyboard player Andre Osokin and guitar player, Tim Kotchergin (ex-Цитадель Ветров (Citadel of Winds) thought about the idea of founding a band around the end of 2002. In 2004, they recorded their first instrumental, Dream. From that time, André started to write rock/metal songs, most of which the band plays even now. That year, Tim was invited to play the guitar in the band, called Citadel of Winds (which is now called Коrsика). In 2005 many players joined Eclipse Hunter, then left. André carried on writing songs. In the end of 2005, a talented guitar player Vladimir Ilyuhin (ex-Ретрием (Retriem) joined the band and still plays there. In February 2006, bassist Tim Alexeyev joined the band and asked his good friend, a powerful drummer, Andrey Novosyolov (ex-Another Voice) to join the band. All the guys seemed to fit each other very well, so they started to search for a vocalist. Vladimir suggested his ex-bandmate Alexey Tyshkevich (ex-Retriem, Натиск (Natisk). But he was very busy with his projects, so in the end of 2006, Eclipse Hunter hired Dmitry Kazakov (Annexation, Troy). The band recorded a Demo EP Lost Symphony, 3 tracks of which you can hear here, on Last.fm, and the entire demo EP is available for listening at myspace. In August, 2007, Eclipse Hunter and Dmitriy decided to part ways. The band announced the talented Alexander Yurov (Dirizhabl) to be the new vocalist in October.